For those homeowners who have made the decision to install a boiler, they’re in for a host of benefits: more comfortable heating, better indoor air quality, and fewer repairs. Why fewer repairs? Simply because boilers have fewer moving parts than other heating systems. 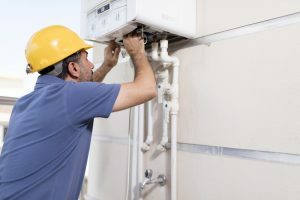 Of course, “less prone to breaking down” doesn’t mean “invincible.” Boilers will have their share of problems over the years—and they might even have that rare instance where they need a repair for seemingly no reason. Regardless, the best defense against these incidences is regularly scheduled maintenance. Below is a brief explanation on how maintenance keeps a boiler running smoothly and why it matters.